Yesterday I teased to stay tuned for more on the voiceover front. Well here is the more. 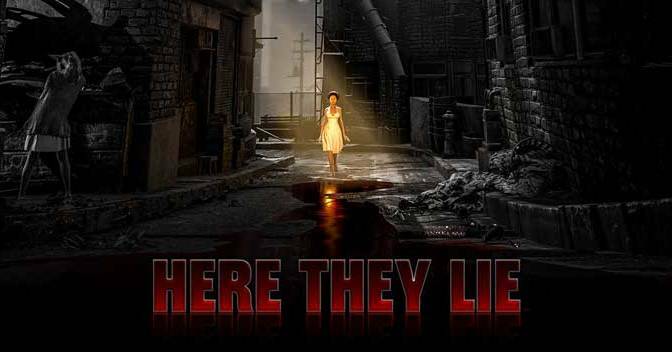 Not only have I expanded my artistic endeavors to include voiceover but I kick off this expansion with my voice being a “featured extra” (my phrasing) in the Playstation VR game Here They Lie ! That’s right, yours truly is officially lurking in the shadows of a psychological horror excursion in an original creation from Tangentlemen. So, if you wanted a great excuse to buy the new VR system, you have one now: MY VOICE IS IN THE GAME! This game was specifically designed for Playstation VR but if for whatever reason you can’t go out and get it right now then wait a couple of months for the Playstation 4 version. Check out the links for the review of the game and for the Tangentlemen themselves. I feel incredibly fortunate for being a part of this entire process which began in the fall of last year. Actually, I have wanted to branch out into voiceover for a number of years and in the early 90’s I did do a few pieces of work but as we all know it’s not always easy to actively pursue ones creative passions. I am in hot pursuit now. I will no longer be so easily swayed from my artistic path. This is just the beginning of what hopefully will be many good things to come. October 7th, 2016 | Comments Off on What’s New?